KRAL AG is a manufacturer of high quality positive displacement pumps and flowmeters for all kinds of fuels and lube oils. KRAL pumps offer high capacity, high differential pressure and compact design. They are the ideal choice for clean, non-aggressive, non-abrasive lubricating fluids offering quiet and pulsation free operation. The KRAL Volumeter® is a robust flowmeter with laboratory precision (± 0,1%) even under harsh industrial applications. Innovative pump and flow measurement technology. 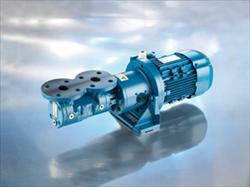 KRAL AG has a broad selection of pumps to satisfy customer specific requirements. Innovative solutions and attention to details are our strengths. 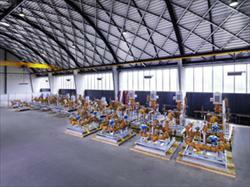 KRAL pumps are tailor-made solutions for pumping fuels, oils and other non-aggressive liquids. In most flow measuring instruments durability and precision are mutually exclusive, but the KRAL flowmeter provides both. 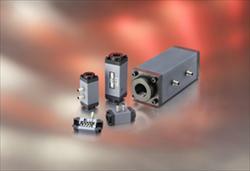 At KRAL, our core competence in profiling screw spindles guarantees precision measuring chambers in the meter. Extremely accurate measurements are possible and the flowmeters operation is smooth and responsive. The KRAL Volumeter has no problem in following any rapid fluctuations in the flow caused by pulsations. It has an extremely sturdy design and is protected from external influences, such as plant vibrations and harsh service environments. 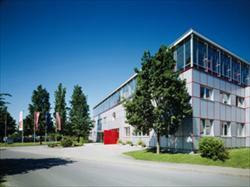 The company HQ of KRAL AG is located in Lustenau, Austria. In Germany, it is represented by three offices. KRAL-USA, Inc. is the American base in Matthews, North Carolina. High quality fluid handling solutions. A highly organized team of qualified staff develops, produces, markets and manages our fluid handling solutions.